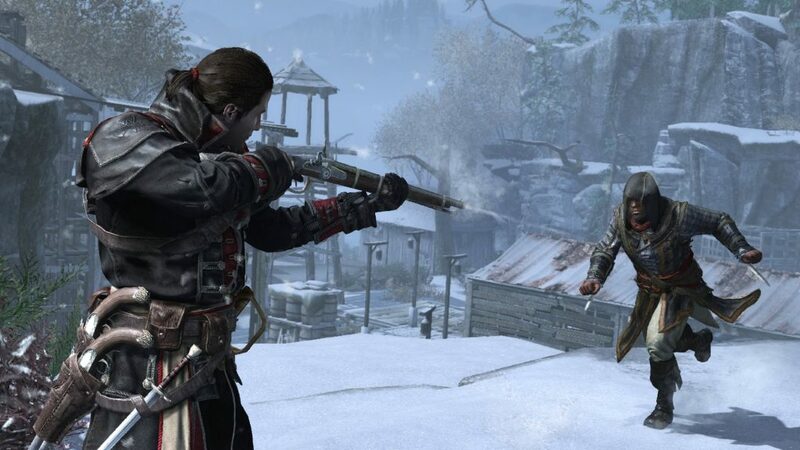 What has been described as, “The darkest chapter of the Assassin’s Creed franchise,” Assassin’s Creed Rogue has now been remastered for PlayStation 4 and Xbox One. Both PS4 Pro and Xbox One users will be able to take advantage of new 4K graphics, high-resolution textures, improved shadows and lighting, and more. The game was originally released in 2014 for PS3 and Xbox 360. In AC Rogue, you play Shay Patrick Cormac – a member of the Assassins Brotherhood who switches over to the Templars. 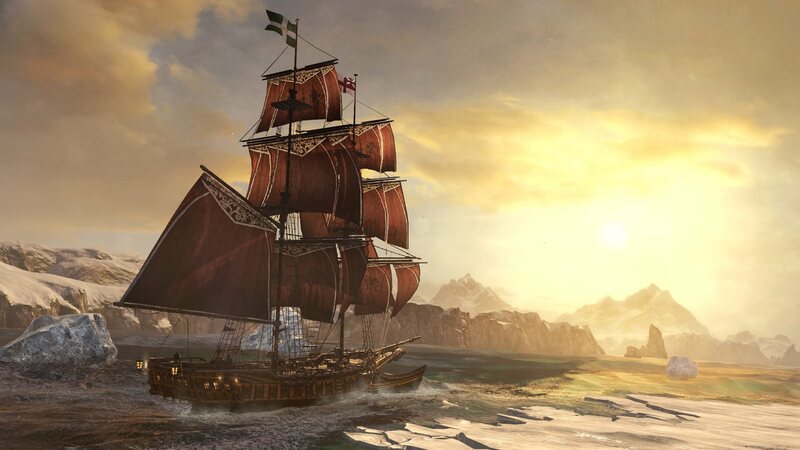 You are forced to hunt down your former brothers, as you travel from New York City to the Wild River Valley, and sail the North Atlantic. Xbox One and PS4™ system). enemies by using a variety of ammunition, including specialized bullets and grenades. 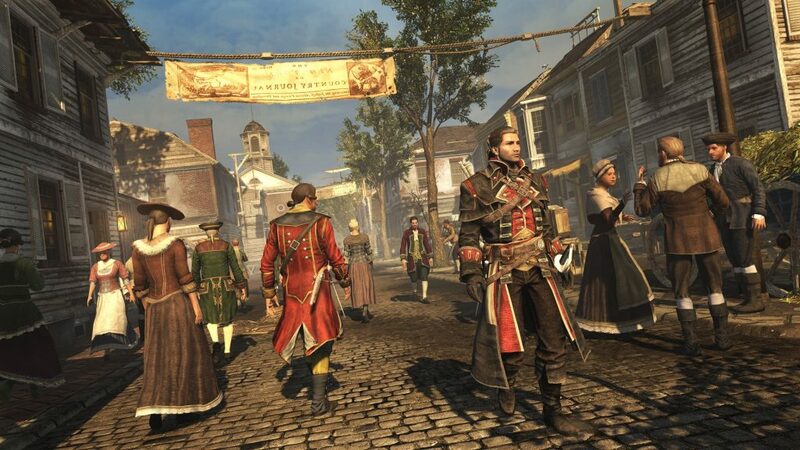 surroundings and detect Assassins hiding in the shadows, along rooftops, and among the crowd. the narrow waters of America’s river valleys. overthrow your crew. Fight them off quickly to avoid losing too many crew members. gun, capable of delivering continuous machine-gun-like fire. The Explorer Pack including weapons and items to customize your ship. Legacy Assassin outfits including Altaïr, Ezio, Connor, Edward, Arno, Jacob, and Aguilar. 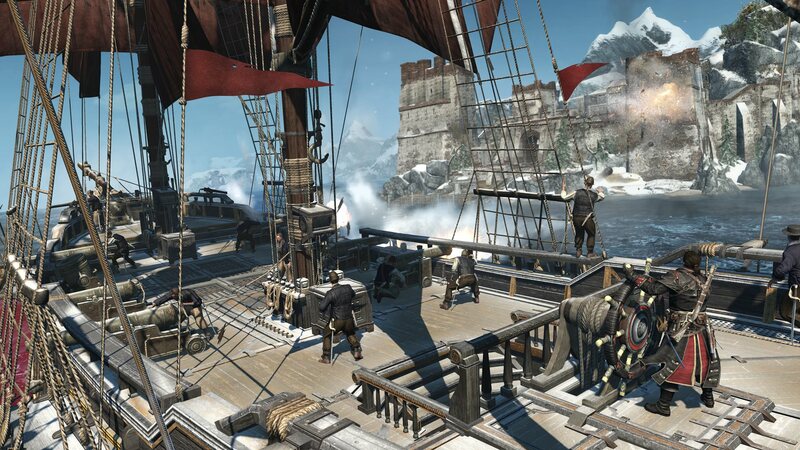 Assassin’s Creed Rogue Remastered is out for PlayStation 4 and Xbox One on Tuesday, March 20, 2018. For more information, visit ubisoft.com.